It’s all in the delicate detailing. 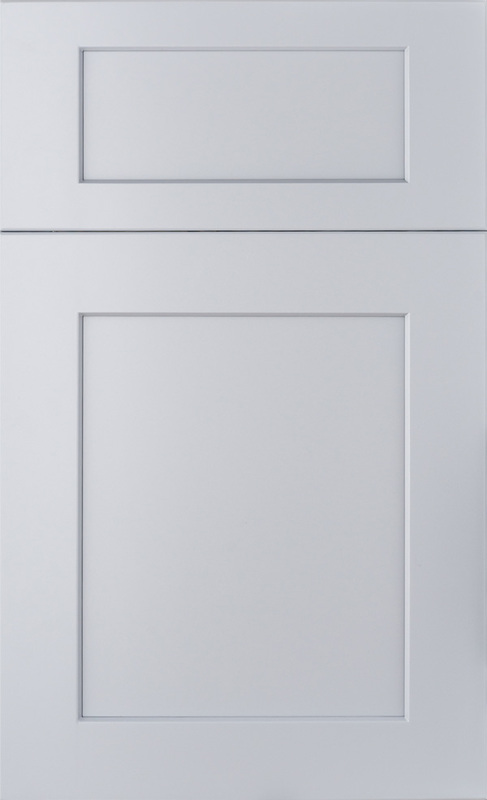 Recessed panels and simple proportions pair with a fresh grey finish to deliver an immaculate design. Wonderfully suited for contemporary as well as classic kitchens, it’s eye-catching without overpowering the space. Exceptional when neighbored by stainless steel fixtures and unfussy hardware, this style delivers an element of understated sophistication.